“One man's trash is another one's treasure” is how the saying goes. For Assembler Games forum user tdijital such was the case last year, when he stumbled upon an individual in possession of a substantial amount of diskettes and CD-ROM filled with video game source code and Sega development tools for Mega CD, 32X and even Sega Saturn. Like any good digital Indiana Jones, tdijital set up a post with his findings along with his efforts to recover all the code that was precariously stored in those diskettes and discs. And recover them he did, sharing his findings with other digital Indiana Jones until figuring out that this IRS liquidation lot was from the late Foley Hi-Tech Systems. Among the source code were a bunch of Spider-Man game versions, a set of Sega Channel ROMs and even a unreleased Playstation game called Razor Wing. There was also a disc with Super Strike Trilogy source code, a title that was known to exist in some form previously confirmed by David Foley himself. It uploads SN68K-built ROMs direct to a Cross Products kit without going via the debugger, something I need to set up my automation system for Tanglewood development. With the missing “SEGA.EXE” file now in his possession, Headcrab used this missing piece of the puzzle to further perfect his Mega CD development home rig. In one fateful insomnia-stricken night, he successfully compiled the most developed version of Super Strike Trilogy and built a fully functional ISO image of the game. You can check the end result of that version in the following video. The lack of the original Megadrive FM music suggests that EA was probably thinking about adding Red Book audio to the compilation, a common practice at the time for Mega CD games. Despite a few noticeable hiccups (it randomly crashes), this game was clearly close to going gold. It contains the full Mega Drive/Genesis versions of Desert Strike, Jungle Strike and Urban Strike on a single disc, a compilation that would certainly be good value for money for fans of the series had it ever made it to the shelves. So another important piece of past video game history has been preserved by sheer fortune, tech savvy know-how and the right bunch of people gathering around a common passion. And it might not be the last you hear about findings in this particular lot since it also contains a great many resources on Sega Saturn development. 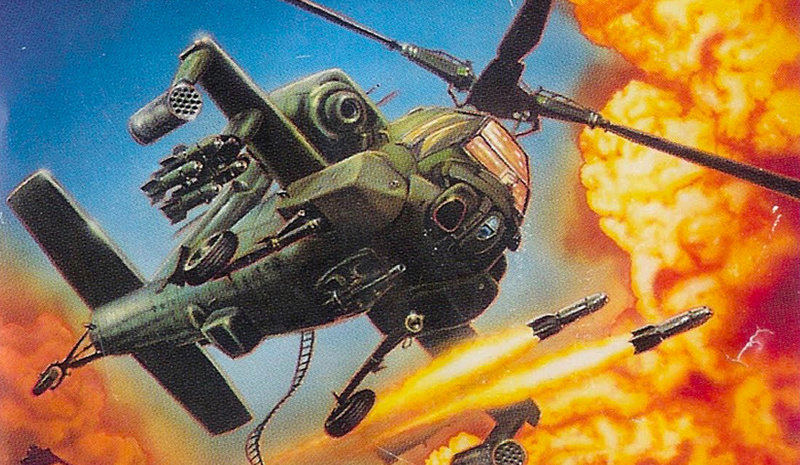 This tale also reminds us we would surely love to see the Strike series get a timely reboot… any fans of EA’s isometric chopper game out there in the comments section? Let us know! We still have our old Genesis version of Desert Strike. I remember it being difficult (at the time.... maybe I should give it another go), but fun. A shame it doesn't have audio. Would've liked to have heard it's version of Desert Strike's title screen theme. They really should revive this IP. I remember playing one or two of the Strike games on my friends MegaDrive, good times! Originally played Desert Strike on Genesis at a friend's house. Got my own copy on gameboy, loved it. When I have a strike hankering nowadays I fire up my modded xbox with the roms for SNES. Love these games. You might think I'm crazy, but having "Desert Strike" in my pocket was an absolute treat. So this is coming to a Nintendo console? @Shiryu that looks pretty convincing and impressive on the GB. I got the chance to play Desert Strike and Jungle Strike on Genesis as I had friends who owned them, but would later get the Game Gear version. I don't know if it was "good" but I recall liking it. It was similarly convincing as I recall. Desert Strike seemed well suited to the 8-bit hardware, surprisingly. Remember renting urban strike and jungle strike from the video store. That was always a good time. I was wondering what happened to this series. @sdelfin "Jungle" and "Urban" are also quite impressive, but they messed with the controls so I stick to the original when I want to play Strike in four shades of green. So why is this being reported on NintendoLife? Oh Man did I love those games. I only owned Desert and Urban Strike on the SNES in my day but do now own all 3 on Mega Drive. The SNES ones sounded better and had the advantage of the L/R buttons for strafing, but with the exception of Desert Strike (whose SNES port was handled internally) Jungle and Urban didn't play so well on the SNES. Still I'd love a reboot. My only problem is that EA would unlikely wish to pay for the license so we'll probably end up flying the AH-84 Blackclaw or some other fictional helo (yes I know Urban's were fictional but it was set in the future; also I know the Apache and Commanche can't carry troops). Retro Contributor. Retro is history. Retro is important knowledge. Retro is not only Nintendo. If I didn't think this news was important, I would not have submitted it. I believe you will find most of the staff and public will agree. "Nintendo Life" isn't "Nintendo Supreme Doctrine". "Nintendo Life" is about video games, the industry as a whole. All of them! I remember playing some of the Strike games as a kid. Can't remember what I played them on, I didn't own them personally. I like them. I wouldn't mind seeing the series get a reboot. I played the Strike games on the old Game Boy. There was supposed to be a similar game last year or the year before, but nothing ever came of it. I loved Desert Strike, never got a chance to play the others though. I'd buy this compilation in a heartbeat if it was to ever see the light of day. @holygeez03 As my esteemed colleague @Shiryu points out, we don't just cover Nintendo on this site. Sega has been covered on NL many times in the past with hardware retrospectives and other content, and the fact that so many Sega classics were made available via Nintendo's Virtual Console service means we cover the world of Sega in that capacity, too. We're very fortunate to be able to cast our net this wide, tbh! @SonataAndante "L" and "R" made it a bliss to play on the SNES, since you could strafe and still fire Hydras independently unlike the Megadrive version that you had to hold "A" to strafe. Was the original build of Future Strike ever found? I played that years ago (when it was a basically complete beta) and it was much, much better than the version that eventually released as LAPD Super Cop. I recall Desert Strike being punishingly difficult, forcing my young self to memorise a viable order to pick up hostages, or else simply run out of fuel. Only ever borrowed it, but I'm not sure I ever got beyond level 3. Think I played the Amiga version; it was class. Me, I just played the overall superior Commodore Amiga versions. They had the best sound and the smoothest gameplay of all the versions, at least: at that point in time. @ThanosReXXX Indeed, it was worth waiting for the Amiga version, the one I played the most at the time since I didn't have a Megadrive bacjk then and (sadly) the SNES edition never showed up at local stores. Unfortunately the franchise ios likely still owned by EA meaning unless a game is likely to sell at least 5 million copies, can be filled with microtransactions, DLC and a Season Pass and be profitble enough to buy every executive a new supercar with built in Champaigne and Cheetos dispensers they won't be interested. Probably would change the fuel system that you have to return to base to refuel and rearm and will take several real life hours to do so; unless you pay £0.99. I wonder if they added 6-button pad support to support the strafe function like the far-superior SNES games. I played the heck out of DS on Genesis back in the day, but the controls are ridiculous. I want a SEGA Saturn classic mini. I love the Strike series. I'm terrible at them but I love them. EA needs to bring back the Strike series. These were awesome games. The first three are excellent, the later Soviet and Nuclear Strike games were a bit less great. Future Cop LAPD was the "sixth" game in the series, but evolved in to something very different.